When it comes to season and franchise gaming, I’ve prided myself on playing every game on the schedule; regular season and Playoffs. It’s generally been my goal to play every game – with twelve minute quarters, no less – for at least the first season, and then only simulate in the second year onwards. 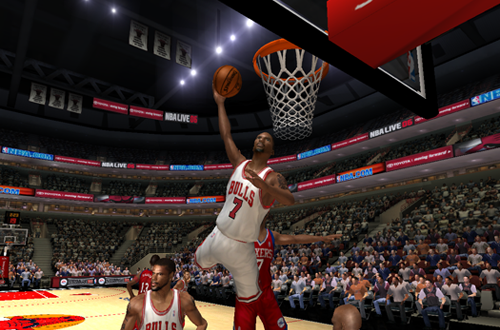 This is something that I managed to achieve in my NBA Live 2004 Dynasty with the Chicago Bulls, and it led to one of my favourite experiences on the virtual hardwood. In my NBA Live 06 Dynasty with the Bulls, I’ve played every minute of two seasons with regulation quarter lengths, and likewise found it to be an extremely enjoyable and fulfilling gaming experience. Of course, when I played that Dynasty game in NBA Live 2004, I was only a year out of high school and still working part time. I had fewer expenses and responsibilities. As for my NBA Live 06 Dynasty, it’s a save file that I’ve returned to a few times over the years to pick up where I’ve left off. 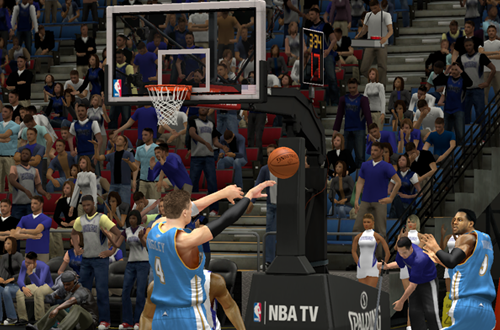 In recent years, I have played through at least one season a couple of times in MyCAREER – NBA 2K13 and NBA 2K17, though I did sim to the end of a few games in the latter – and continued to play with twelve minute quarters. I’ve felt a similar sense of accomplishment, but it has been slightly more difficult to achieve. It’s also meant that I don’t get much further than Year Two. It would obviously be a very different story if I simulated even a quarter of the games in the season. I’d be through to the Playoffs much quicker, and no doubt be able to play multiple seasons in every title that comes out. It’s the logical approach, and when I reflect upon it, the very concept of multiseason play – be it franchise or career modes – makes simulated games the expected course of action. Unfortunately, I’ve had a lot of trouble relinquishing control. The sim engine can be unkind, and I’ve enjoyed being the master of my own destiny. When you have the intention of playing each and every game with twelve minute quarters, simulated games feel like admitting defeat. Over the years, basketball video games have added a lot of features that have made simulating games a more appealing prospect. 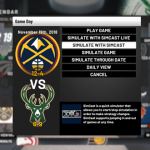 From NBA Live’s Dynasty Scenarios and Simulation Intervention to Key Games in the old MyCAREER mode, to the ability to simulate to the end of games in the current MyCAREER and the extensive SimCast functions in MyLEAGUE and MyGM, simulation now involves much more than simply hoping for the best. We’re able to simulate to the end of a blowout, or set strategies to give us the best possible chance of winning a simulated contest. These are all great time-saving features that I should be taking advantage of. Once again though, it’s been hard. Even though my basketball gaming habits have changed over time, the goal of playing every game on full length quarters is one that – with only a few exceptions – I’ve stubbornly stuck with all these years. I’ve found it difficult to compromise on both counts: either playing shorter seasons or simulating games, or reducing the quarter length. I enjoy the accuracy, and the challenge. The setting to normalise stats for shorter quarter lengths in MyLEAGUE and MyGM is yet another option that’s available to me here, and one that I’d like to see NBA Live adopt for Franchise. For the moment, though, I don’t think I’d be truly satisfied using it. The solution that I feel I can make peace with is to have a certain number of simulated games. Glancing at our Stories section, my fellow basketball gamers have adopted a variety of approaches over the years: alternating between playing and simulating their games, simulating one out of every three to five games, or even picking and choosing when to simulate based on the importance and appeal of the matchup. It’s allowed gamers to cut down on the tedium of the regular season and progress through to the Playoffs much quicker, where most do tend to play all of the games. These are all great compromises, and solutions that I find myself far more willing to consider now. Another benefit to simulated games is that the chances of losing are increased. In our hands, mediocre and even bad teams can (and will) overachieve, as we find ways of getting the most out of a thin roster. When we leave things up the sim engine, tricks and exploits go out the window, and our team’s record will even out a little more. As much fun as I had going 77-5 and storming through the Playoffs with a 16-1 record in the second season of my NBA Live 06 Dynasty, there was a certain amount of tedium to that, to say nothing of the lack of realism. A larger number of simulated games can add a few more losses here and there, while also making them less painful to endure. Finally, I must stress that I’ve never looked down on the practice of simulating games, or my fellow gamers who have chosen to make use of that feature. There’s a reason that the functionality is in the games, and it’s allowed people to have great experiences in franchise and career modes. It’s been my own stubborn pride that’s stood in the way of me doing the same thing. I don’t regret the approach as I’ve enjoyed playing all of those games and felt a sense of accomplishment in doing so, but I can also see how it held me back from having even more fun, such as experiencing multiple offseasons. It’s the trade-off that I chose at the time and I’m fine with it, but it’s time for a change. This seems like as good a year as any to make that change. In NBA Live 19 and NBA 2K19, I have two games that I feel compelled to play. I’d like to try out more than just one mode in each game, dividing up my basketball gaming time between the different experiences that appeal to me. In order to accomplish that and get the most out of my time on the virtual hardwood, compromises and trade-offs will need to be made, and one of them will be simulating games that I would’ve just played in the past. When it comes to playing every game with full quarters, I’ve already accomplished that. I’m at peace having achieved that goal; it’s time to enjoy basketball gaming in a new way. The sim engine in Live 10 is brutal; you go from 53-64 games to 128-112, and the stats are really generic: every center is a 10-10 guy (even Yao, who should be 20-10); the PG’s always rack up the assists even if they’re playing alongside LeBron, who averages a fraction of what he should. 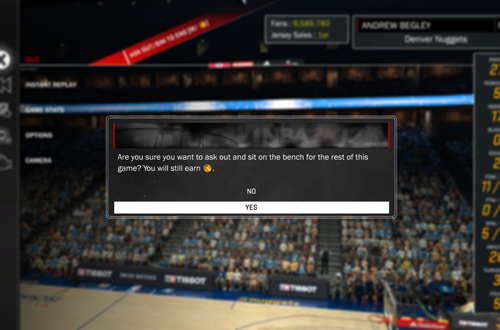 There is a really handy feature in 2K19’s MyLEAGUE where you can choose what players you want to be a focal point when simming; this was probably in previous year’s games, but if for some reason you wanted to make a scrub a star, you could do that. Oh, definitely. I remember being quite disappointed by NBA Live 10’s sim engine at the time. Even cover player Dwight Howard would put up fairly pedestrian numbers in simulation, at least in terms of his points per game. The scores, as you noted, were really wild in the variation between their highs and lows. It does sully the experience somewhat. SimCast is definitely a great feature, and should make simulating games a far more palatable solution. Play games against .500 or better teams. Sim games against sub .500 teams. I’ve seen people take that approach too, and it certainly makes sense. Definitely an approach I’ll consider! Definitely sounds like a good method for doing so!